Hurricane Matthew dealt quite a blow to the southeastern United States. 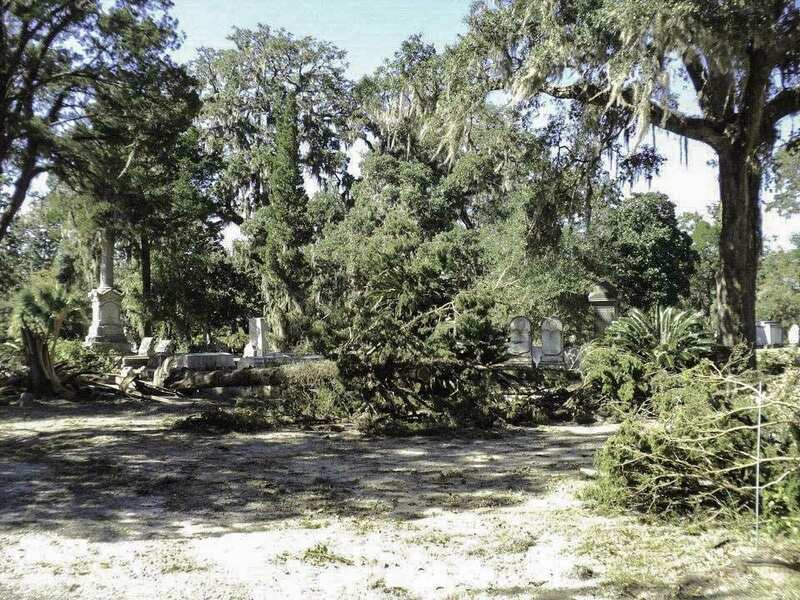 Our beloved Bonaventure Cemetery was not spared. 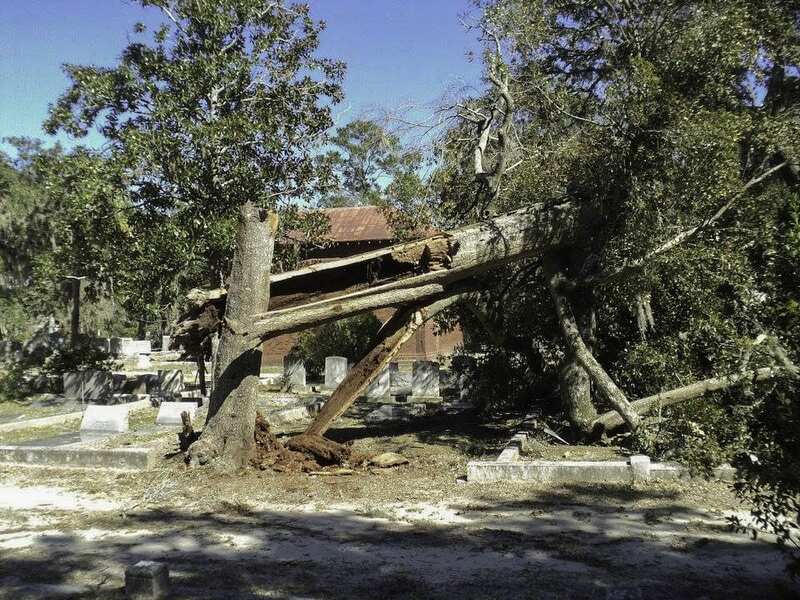 Lee Maltenfort, Chair, of the Bonaventure Historical Society recently toured the cemetery along with the Director of Cemeteries and reported on the damage. 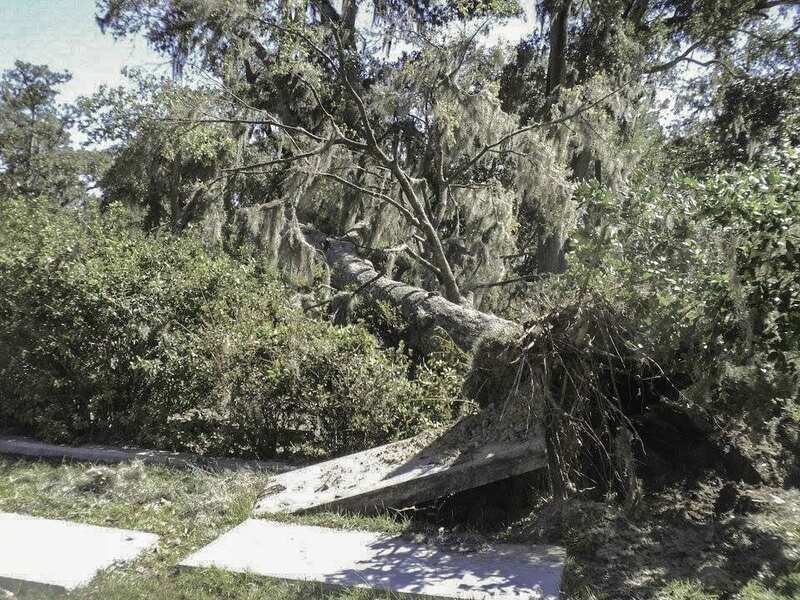 Mr. Maltenfort also noted that most of the downed trees were cedar and not the live oaks Bonaventure is best known for. As of today, the cemetery will remain closed until further notice. We will keep you apprised of updates as they occur. *Visitors to Colonial Park Cemetery are to avoid any areas cordoned off. These areas are considered unsafe and therefore remain off limits to the public. We will be planning fundraising activities soon to help with the extensive restoration expected, for now you can download a copy of our mobile guide directly from Apple iTunes or Google Play. Proceeds will be used to fund restoration efforts.